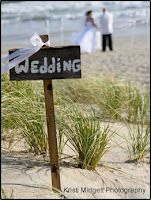 Brides have limitless possibilities once they decide to plan a North Carolina destination wedding. Our coastline is sugar-coated with white sand beaches and home to the picturesque towns of Nags Head, Corolla, and Hatteras as well as the quaint towns of Manteo and Duck, NC. 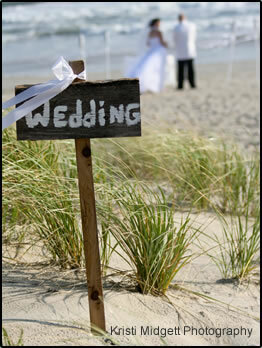 The "Outer Banks" vistas afford the perfect location for bridal party members and guests to celebrate the day. Photographers discover a background pallet which allows them to capture images that give brides dreaming of an for unforgettable North Carolina destination wedding memories to last a lifetime. Consider working with a wedding coordinator expert in guiding brides through the long-distance planning and organizing process of a destination wedding. Let Engaging Events pull from years of experience and share with you first-hand knowledge to help custom design your perfect North Carolina beach wedding. Let me just say how much I appreciate your hard work and excellent planning for our wedding. Everything went so smoothly and was so beautiful. I don't know how many times since the wedding I have said, "I could have never done this without Beth." Almost every guest said that my wedding was the best one that they had ever been to, and I owe that to you! I really don't think we could have ever pulled this off without you, especially being in Switzerland and not having ease to contact vendors. Can we help you make your special day even more memorable? Website Design, Hosting & Promotion by Acorn Internet Services, Inc.